A while back, I mentioned ongoing research in the field of crowd dynamics that looks at dominant traffic patterns. Although it first seemed that left/right traffic patterns are emergent, I noted an ongoing project by South Korea to get people to walk on the right. It turns out that this is by no means the first time that this has happened. On Dagen H, Sunday, September 3, all non-essential traffic was banned from the roads from 01:00 to 06:00. Any vehicles on the roads during that time had to follow special rules. All vehicles had to come to a complete stop at 04:50, then carefully change to the right-hand side of the road and stop again before being allowed to proceed at 05:00. In Stockholm and Malmö, however, the ban was longer—from 10:00 on Saturday until 15:00 on Sunday—to allow work crews to reconfigure intersections. Certain other towns also saw an extended ban, from 15:00 on Saturday until 15:00 on Sunday. One-way streets presented unique problems. Bus stops had to be constructed on the other side of the street. Intersections had to be reshaped to allow traffic to merge…. In order to avoid blinding the oncoming drivers, all Swedish vehicles had to have their original left-hand-traffic headlamps replaced with right-hand units. One of the reasons the Riksdag pushed ahead with Dagen H despite public unpopularity was that most vehicles in Sweden at the time used inexpensive, standardized round headlamps, but the trend towards more expensive model-specific headlamps had begun in Continental Europe and was expected to spread through most other parts of the world. Further delay in changing over from left- to right-hand traffic would have greatly increased the cost burden to vehicle owners. The article has more on the politics of the change, including a 1955 referendum in which voters overwhelmingly chose to keep traffic on the left. Apparently such changes, while rare, occurred numerous times in the 20th century. The most common change was from left- to right-hand traffic. “Globalization” seems like a hand-wavy explanation, but it does seem that as time went on there has been more need for solving this coordination problem on an international level. Can Programming Get You Killed? The Iranian Government has sentenced Saeed Malekpour, an Iranian-born web programmer living in Canada until his 2008 arrest, developed software for uploading images online, to death…. This blog has remained largely silent on the upcoming American election, but today we turn there for some lighthearted fun. Presidential politics offers voters a unique chance for voters to sort out preferences over a bundle of positions. None of the candidates may have your exact mix of opinions, but there are probably one or two that stand out (theorists often liken this to several grocery baskets, each of which has more or less items that you would normally buy). Having trouble choosing? Now, Idiots’ Books presents their Build Your Own President Game so you don’t have to–you can pick your very own candidate by setting three different characteristics. Some of the actual candidates mentioned at the bottom left of the page are a little outdated, but it can be fun if you don’t take it too seriously. Actually, that’s a good caveat for politics in general. The Mexican security forces have arrested 11 alleged members of the country’s most powerful drug gang, the Sinaloa cartel…. During the raid, elite troops killed the regional leader of the gang, Luis Alberto Cabrera Sarabia…. Mr Cabrera Sarabia is accused of having controlled much of the drug trafficking in the two northern states. Gen Trevilla Trejo said Mr Cabrera Sarabia had been personally chosen to head the Sinaloa cartel’s operations in the region by its leader Joaquin “Shorty” Guzman. He was appointed only last month, after the arrest of the previous regional leader, Luis Alberto Cabrera Sarabia’s brother, Felipe. If the article is right, this suggests that the Sinaloa cartel has developed a succession mechanism that readily appoints replacements after mid-level leaders are killed. My research indicates that this strike will have zero effect on cross-border trafficking, but will likely be followed by an increase in violence over the next few months. Update: I’ve added a Working Papers page, where you can find the latest draft of my research on Mexican DTO’s. 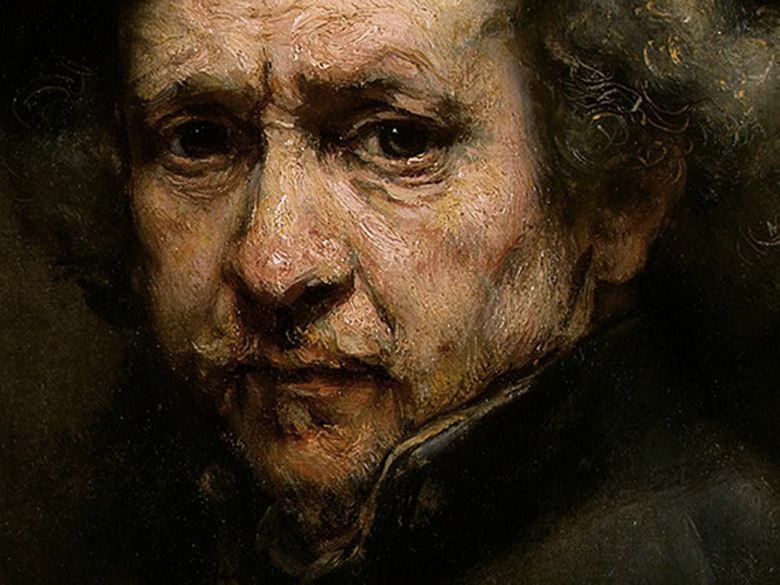 Error in Art: How Many Rembrandt’s are there? Over the weekend I had the pleasure of viewing the Rembrandt in America exhibit at NCMA. The exhibition was full of facts about Rembrandt (and paintings, of course). What most struck me was the question of “connoseurship”–whether Rembrandt had actually put brush to canvas to create a given painting. Estimates of the actual number of Rembrandt paintings range from about 250 to over 700. The lower extreme is taken by the Rembrandt Research Project, begun in 1968. On the high end is NCMA’s own director from the 1950’s, William Valentiner. There is some “true” number that may never be actually known. Sound familiar? This is exactly the situation that statisticians encounter every day. An important first question to ask yourself when trying to make a judgment under uncertainty is, do you care more about Type I (false positive) or Type II (false negative) errors? In the case of Rembrandt, the answer depends on who you are. Museums and private collections, whose values depend on authenticity, likely care much more about avoiding Type II errors. Scholars with an eye toward accurate attribution likely care more about avoiding Type I errors. I don’t currently have any data on hand to arbitrate between the two sides, but I would love to see their estimates of uncertainty. NCMA did a great job bringing this issue to the public in an accessible way. Even in the art world, statistics is a rhetorical practice. Data visualization became very popular in 2011, as evidenced by NYT pieces like this one and the release of Nathan Yau‘s book Visualize This. It seems to me that the upper limit of the amount of information a dataviz/infographic/pick-your-term can convey is bounded by three things: the creativity of the designer, technology available to him/her, and the perceptibility of the viewer. But is there an optimal point where simplicity of design and information conveyed are both maximized? For one answer to this question, consider multiplication. In most (all?) American schools that I know of, multiplication is taught in terms of area (two terms) or volume (three terms). Harvard’s Stats 110 begins by teaching probability as area. This concept is simple enough, and is particularly handy because often what we care about in practical terms can be expressed as an area/volume: how much wallpaper do I need? how much water will fit in that bucket? But in terms of just manipulating the numbers, the area/volume interpretation can be a bit clunky–it doesn’t really save any steps, and once you have more digits than you can hold in your head, most people will reach straight for a calculator. There’s nothing wrong with that, except that there are many applications of multiplication beyond area or volume (take total cost of large order as an example). The Japanese have a different method, as the video below shows. Two characteristics readily recommend this method. First, it is a very basic visualization that, if practiced, seems like it could make multiplication of large numbers in your head simpler. Second, there is no strict interpretive paradigm imposed on the answer. The practical meaning of the answer need not be an area, or anything geometric at all. However, it is not clear how this would extend beyond three terms either. The Internet, as of this writing, is an anarchic system. While there are certain regulations and norms that govern behavior, they are not strong. There is no individual or subset of individual users/developers who can claim legitimate authority to coerce others over the Internet. For now, it remains free. The Stop Online Piracy Act (H.R. 3261, and its Senate counterpart, S. 968) represents a threat to that freedom. If this legislation were to pass into law, it would be widely regarded as legitimate not because of any inherent rightness, but because of the power of the body that enforces it. The authors of this bill likely do not realize that it will fail in its stated goal–to prevent copyright-infringing downloads–while at the same time perpetuating the falsehood that there is an exclusive property right to truth. Law certainly has a legitimate role to play in society: to clarify expectations. But our societal expectations regarding intellectual property have already been stated in existing copyright law–which SOPA will not strengthen or improve in any way. In fact, the harm of expansive, one-size-fits-all copyright is already evident from the fact that many works whose authors have long since passed away are still not part of the public domain in the US. The Internet evolves extremely quickly, while legislation tends to come about in punctuated ways. Once SOPA or a similar law is on the books, it will be tremendously difficult to modify in light of changing circumstances. Web developers, writers, and everyone else who blacked out their pages this week to demonstrate opposition to SOPA proved at least one thing: the Internet community is capable of overcoming collective action problems. If SOPA is stopped, there will not be any one single person or group to thank. It will be because all of us banded together to show that freedom still exists. For now. To show that creating a numeric index does not necessitate an underlying reality, suppose I created a “health-per-wealth” index to determine whether someone ate sufficiently healthy for a member of their social class. To create my index, we count the number of different types of vegetables in someone’s refrigerator and divide that by the number of walls in their home. My own number right now is an embarrassingly low 0.16. Now, has this measurement told me anything about how healthy I am relative to other members of the population? Not really. Nor would adding more data on other individuals help to do so. The measure itself is flawed, relying on two (very) imperfect proxies for real underlying characteristics. Most people would agree that health and wealth are real concept, but we learn very little about them from shopping habits and architecture. Likewise, intelligence seems to me a real enough “thing,” but I am not convinced that IQ tests are an accurate measure, nor that any one-dimensional measure would suffice. For Planck, a reluctant revolutionary, the quantum was a mathematical contrivance that explained how energy was emitted and absorbed when it interacted with matter. But he did not see that it related to a physical reality that was inherent in the nature of light and the electromagnetic field itself…. At stake here is exactly the same issue as in the IQ case–whether a theoretical concept (in this case, quanta) was a feature of reality or a mere incident of measurement. Modern physical theory has generally accepted the reality of quanta, but the acceptance was by no means automatic. Isaacson’s book makes clear how the scientific process can be affected by personal politics. Later on, Einstein takes Planck’s side in a debate over relativity and the principle of least action. In another instance, Isaacson describes how increasing anti-Semitism spurred Einstein into being more conscience of his Jewish identity. (Some might ascribe this to a social form of Newton’s third law.) The biography is interesting throughout, and highly recommended. Have you always thought of yourself as a sitcom character? Or maybe a world-class dictator? No, me either. But now you can. Pretend to be the bumbling sidekick or the heartless autocrat and our state-of-last-century’s-art algorithm will guess who you are. Can’t think of a sitcom character or dictator? Then answer the questions as yourself, and you’ll find out whom you most resemble. So, whether you’re Gilligan or Fidel stuck on that island, answer the Yes/No questions as best you can and the computer will try to guess who you are. The game is an example of Bayesian thinking on two levels. By asking yes/no, it discriminates you into smaller and smaller categories, eventually arriving at a single answer as in the children’s game “Guess Who.” On another level, if you go through the whole series of questions and the game arrives at the wrong answer, it asks you to provide a single additional question that would help to differentiate between who you were pretending to be and who the game guessed you were. Once a sufficient number of people have played, theoretically the game should guess correctly every time. Can you stump it?